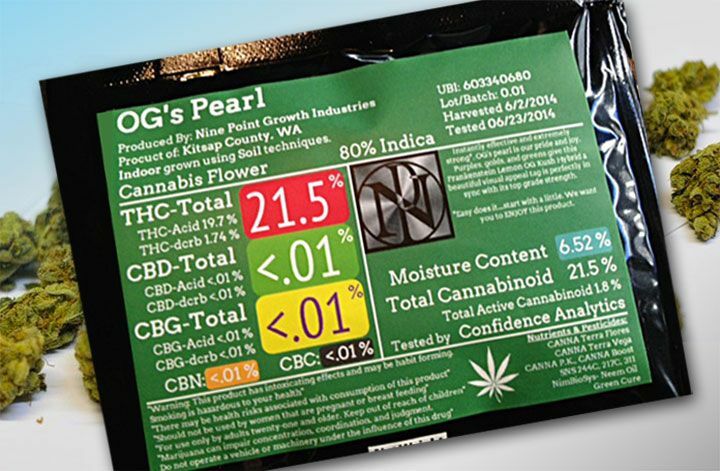 If you’ve ever wondered, “What the heck are all of these numbers for?” after looking at a cannabis labels, this article is for you. We’ve had decades of education on how to read nutrition labels, and many people still find them confusing. Cannabis labeling has only become the norm over the past few years. Further, the percentages and chemicals listed may seem way too scientific to the average consumer. What do all of these abbreviations mean anyway? 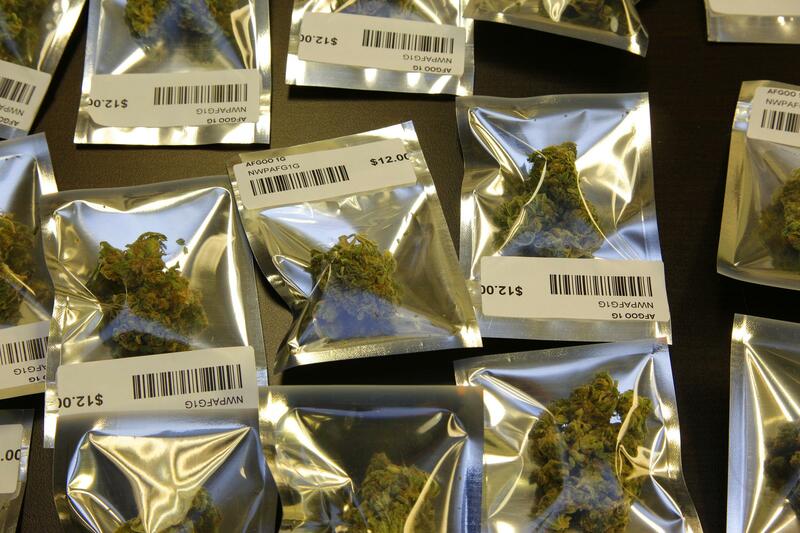 Here’s how to decode your cannabis labels. When you go into a dispensary or compassion center, products that have been laboratory tested typically feature labels similar to what you’d find on packaged foods. 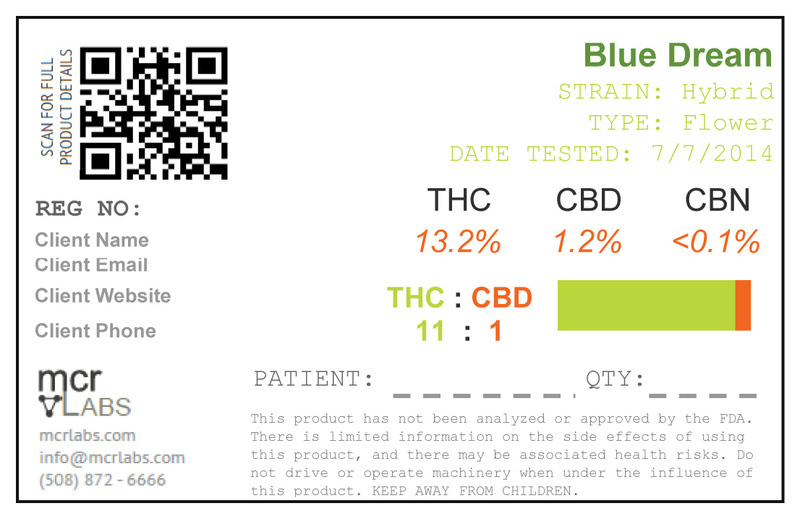 Cannabis labels give you all kinds of information. They can tell you whether or not the product you’re picking up has been infected with mold. They’ll let you know whether or not traces of residual pesticide were found on the strain. They’ll also tell you how much THC, CBD, and other cannabinoids are actually available for use. You can make the argument that understanding these cannabis labels gives you a lot more information about the type of high the strain provides than it’s indica/sativa class alone. For example, a strain that features a mere 3% CBD content will produce different effects than one that has 0%, even if the latter is thought to be the same strain. Each state has it’s own unique labeling laws. This means that there isn’t nationwide standardization for what kinds of information should be present on cannabis labels. Further, some states do not have rigorous testing requirements for medical cannabis products. In these cases, you essentially have no idea whether or not what the package or budtender tells you is actually accurate. If possible, always opt for products that have been laboratory tested. Not only will this give you an idea of what to expect from the product, but it will also help you avoid contaminated bud. Labs typically publish testing data online, but you’ll have to do some research to find testing centers in your particular region. Total THC (or THC maximum) represents the total amount of THC that is available for use. This is the number most looked at by folks looking to buy. 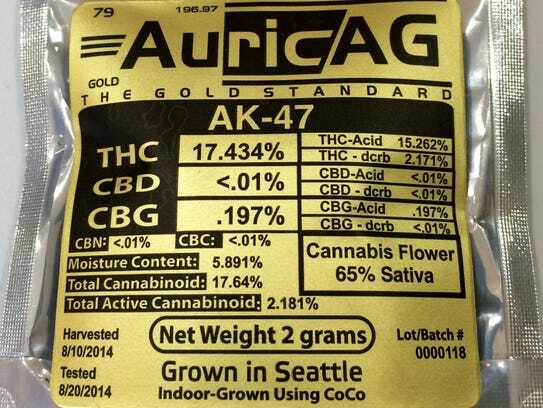 The total THC content gives you a good idea about the level of psychoactivity of the strain. High THC strains typically have around 18 to 20+ percent total THC. For edible products, this number is often represented in milligrams. The milligram measurement is a bit more difficult to judge on behalf of the consumer. Generally, a dose for an inexperienced cannabis user is thought to be about 10mg of THC. Edibles made with cancer patients in mind can feature a whopping 100+ milligrams of THC in some states. If you’re looking for a powerful high, 20mg is thought to be a large dose. THCA refers to tetrahydrocannabinolic acid. Simply stated, this is the raw form of THC and it is non-psychoactive. In order to experience the psychoactive effects of THC, you need to convert it from its acid form. You do this through the process of decarboxylation. The words may sound fancy, but the process is super simple. To make THC psychoactive, you have to heat it. That’s why you smoke or bake cannabis to feel high. On a cannabis label, the total amount of THCA lets you know how much psychoactive THC there will be once the herb is heated. The more THCA, the more psychoactive the strain when you heat it up. Heating cannabis activates THC. But, there’s another way the psychoactive thrives: aging. When cannabis is aged and cured, some of the THCA breaks down and turns into plain ol’ THC. 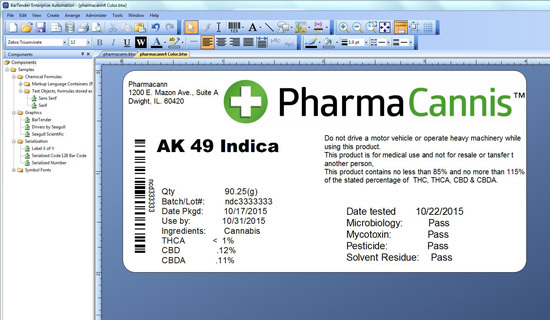 Cannabis labels often list the amount of THC-acid available for use, as well as the amount of acid that has already been converted through the drying process. The amount of activated THC on dried strains typically isn’t very high. Some of this may also burn off when you heat the cannabis with high temperatures once you get home. 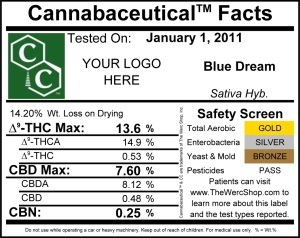 Active THC percentages may also be written as THC Decarb. Together, THCA and THC percentages make up the total THC percentage. Some companies (like the one shown above) will just list the total amount of THC as one number. Similar to THCA, the amount of CBDA in a strain tells you its CBD potential. CBDA stands for cannabidiol acid. This is raw CBD. When you heat CBDA, it converts into non-psychoactive CBD. Strains high in CBD have a wealth of medicinal properties. The more CBD a strain contains, the mellower the overall high will be. Strains with higher levels of CBD and CBDA than THC are less likely to be psychoactive. You’ve probably guessed it… The CBD percentage or milligram amount listed on a label tells you the amount of activated CBD present in the product. Totals of CBD and CBDA levels make up the total CBD percentage available to consumers. Both THC and CBD are cannabinoids. Cannabinoids are the plant chemicals that engage with our bodies and give cannabis its medicinal properties. Levels of other cannabinoids like Δ8-THC, THCV, CBN, CBG, and CBC may also be present on a label. While these cannabinoids are less common, they have some powerful health benefits that you won’t want to miss. For more information on these additional cannabinoids, refer to our article Top 10 Cannabinoids & What They Do. 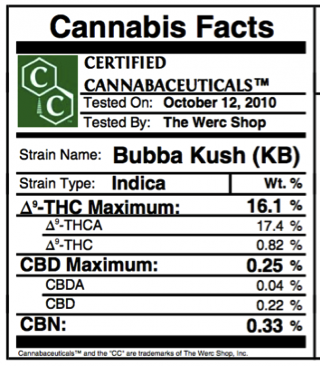 Some labels may list the total number of cannabinoids present in the strain. This number includes all THC, CBD, and any other cannabinoids that may be present. Strains with extremely high numbers of total cannabinoids are incredibly potent. Not necessarily potent because of their psychoactive potential, but because of the sheer number of different compounds available for use. As mentioned earlier, each cannabinoid has its own unique medical benefits. The greater the cannabinoid diversity in a strain, the more health benefits it can express. This one is very important. If your bud didn’t come with a label, there’s no way of knowing whether or not it has been contaminated with pesticides or insecticides. Some labels list the amount of pesticide residue found in the bud. In order for a product to pass a pesticide test, levels must be under 0.1 parts per million. Most labels just state whether or not a product has passed. If they have passed, they met the above criteria. The presence of molds and mildews are another thing to be concerned about. Cannabis that has been tested and made it onto dispensary shelves will typically pass tests for microbiology. Levels of aerobic bacteria (E. coli, Salmonella, etc. ), yeasts and molds, and other large bacterial colonies are often included in microbiology screens. Some labels will simply tell you whether or not a strain has passed with acceptable levels of microbes. Others may list an exact amount. Restrictions for microbial levels are different from state to state. Oregon, for example, does not require tests for pathogenic bacteria. 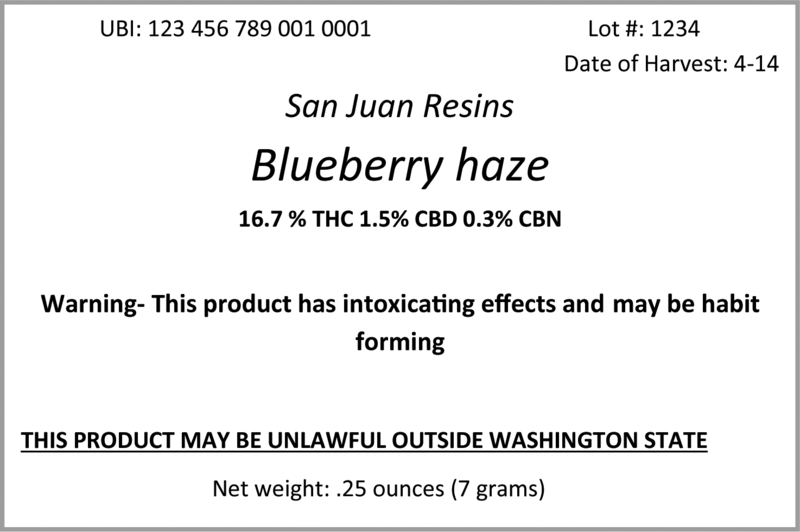 These things are not often listed on dispensary labels, but they might be. If you visit a testing lab website, you may also find results of these tests listed. As is probably obvious at this point, there’s more to your bud than you might expect. Learning to read cannabis labels is as important as understanding labels at the grocery store. To ensure that you’re getting a safe product that will give you the effects you like best, take a peak at testing results before you purchase. How much do you pay attention to cannabis labels? Share your thoughts with us on social media or in the comments below. We’d love to hear from you!